Despite all the tradition and pageantry to experience this weekend, it will be business as usual for No. 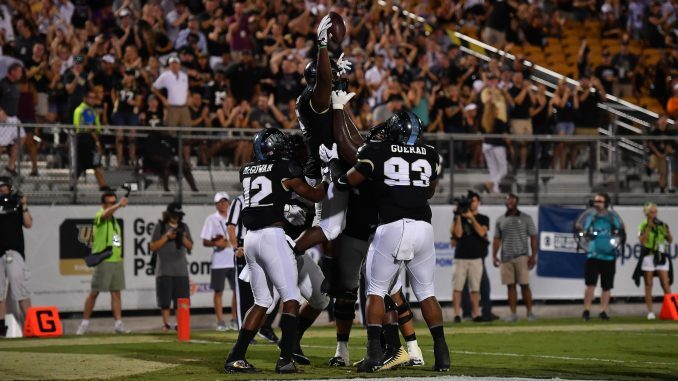 20 UCF when it travels to Annapolis for a Saturday afternoon matchup with Navy. 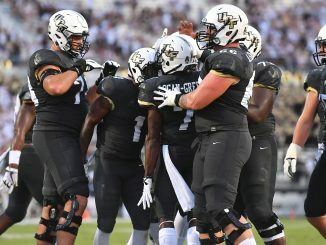 UCF (5-0, 3-0 AAC) is receiving a lot of national love at the moment, but none of it will matter this weekend, especially against a Navy team that was No. 25 in the country before a loss to Memphis last weekend. With just the one loss, the Midshipmen (5-1, 3-1 AAC) are still in the conference title mix. They will need some help along the way, but they will surely want to take care of what they can control. The Knights come into Saturday’s game ranked first in the nation in scoring offense and fifth in total offense. 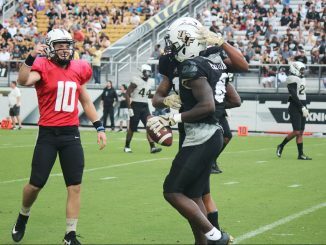 Sophomore quarterback McKenzie Milton is unquestionably leading the way. He has the nation’s fourth-best quarterback rating and ranks second in passing efficiency. The Hawaii product has thrown for 1,489 yards and 15 touchdowns while rushing for 198 yards and a score. While some of his success is due to personal adjustments, he is also being helped by a much-improved offensive line. A lot is said about Navy’s option offense, but its defense can be tough as well. The Midshipmen are built around their option offense, which thrives when it eats up the clock and wears down opponents. To get his unit ready for the unique challenge, Frost spent the week as the scout-team quarterback. He drew from his experience as a National Championship-winning quarterback at Nebraska, but at 42, running an offense was a little different this time around. Regardless, he felt the defense got some good preparation for what it will see on Saturday. 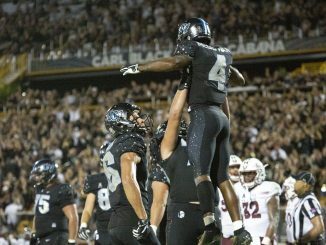 UCF has rolled over every opponent it has seen this season, winning by an average of 33.8 points per game. That average is the best in the country, ranking just ahead of perennial powerhouse Alabama. The Midshipmen present the Knights with one of their toughest tests of the season. Regardless of roster turnover from year to year, Navy coach Ken Niumatalolo has built one of the most consistent programs in the conference. Kickoff for Saturday’s game is set for 3:30 p.m. The game can be seen on CBS Sports Network.